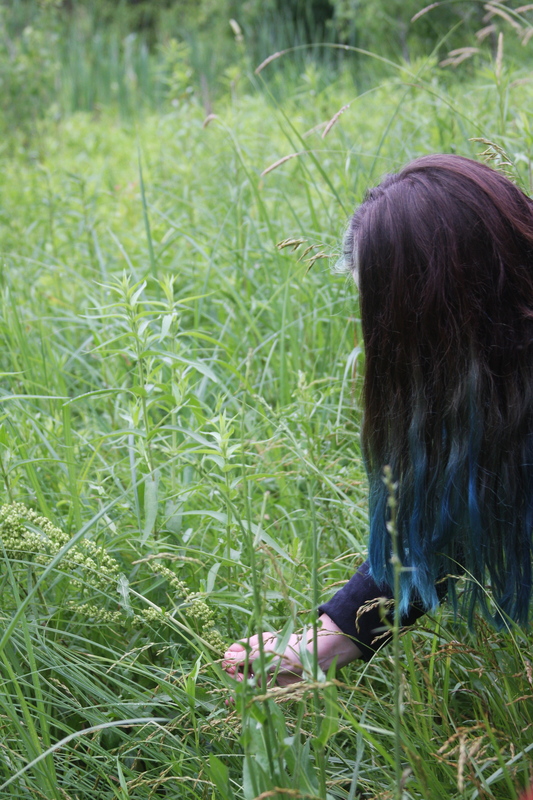 We started dyeing with indigo, and we couldn’t get enough! The rich history, the magical chemistry, the meditative process: everything about it is endlessly fascinating. 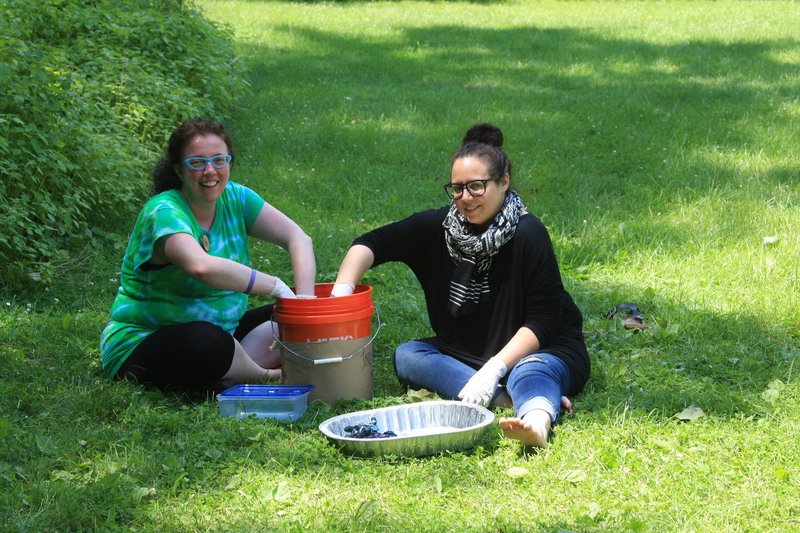 So on Saturday, September 19, Small Craft’s Ethan Cronkite will bring his popular indigo dye workshop to Handmade Toledo! We’ll add brilliant blue patterns to cotton scarves, using resist-dye techniques inspired by traditional Japanese shibori. We’ll watch the dye change color before our eyes. And we’ll discuss the ancient relationship between our human cultures and this natural compound. 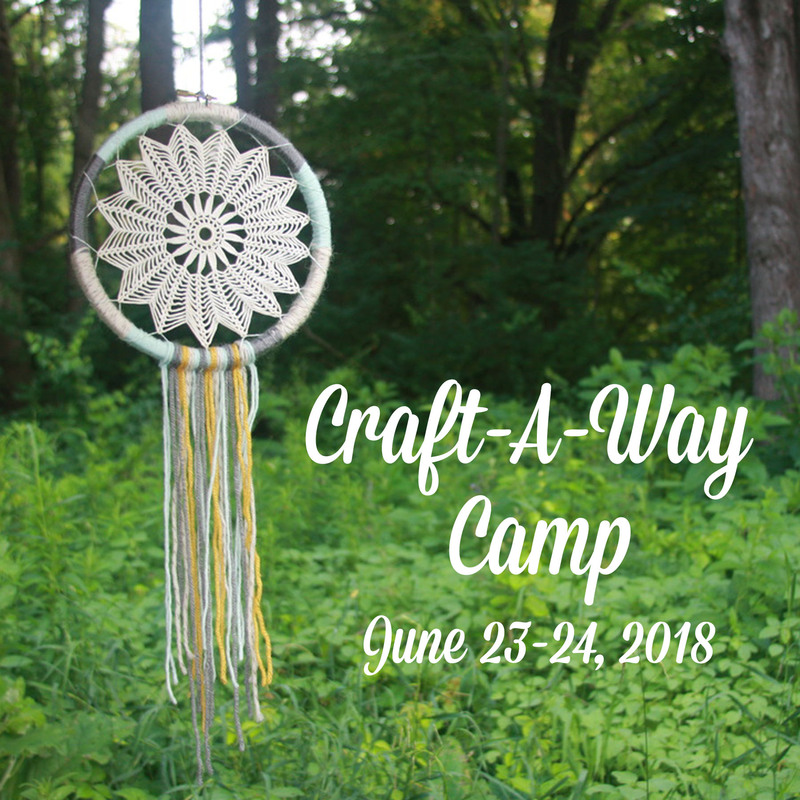 If you remember Ethan’s indigo workshop at this summer’s Craft-A-Way Camp, you already know how fun this will be! 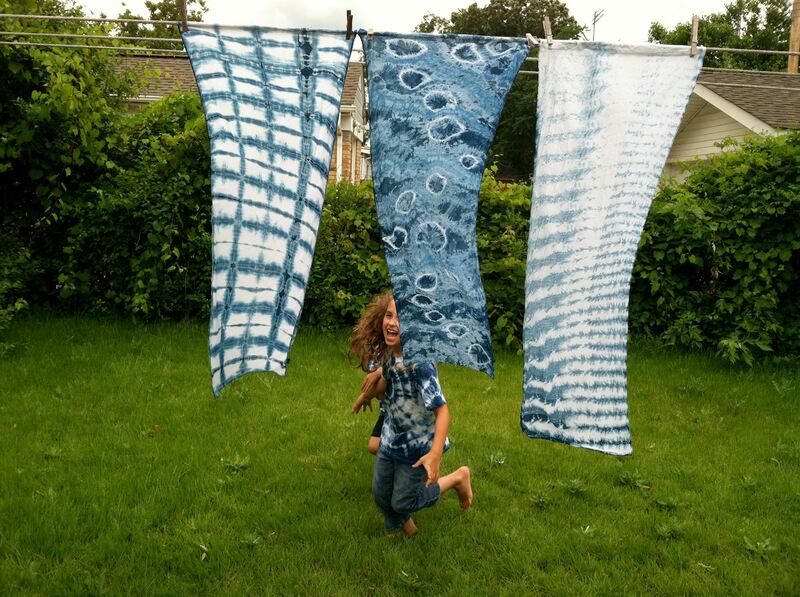 And if you haven’t dyed with indigo before, this will be a great opportunity to begin. We’ll provide all the tools and materials needed, including a lovely scarf for each participant. But we also encourage you to bring along your own cotton items, and add them to the dye vat. You’ll find that it’s very pleasant, massaging the warm dye into the fabric. And almost hypnotic, watching the dye change from bright green to deep blue. With all the resist-dye techniques to explore, and crafty friends to meet, you definitely won’t want to stop after completing your scarf! While we’re working, we’ll share a few stories from indigo’s many centuries as a dye. (Ethan is a librarian, so he’s always happy to share some good stories!) We’ll focus on Japan, where cotton fabric and indigo dye were once the basis for a vibrant network of cottage industries. 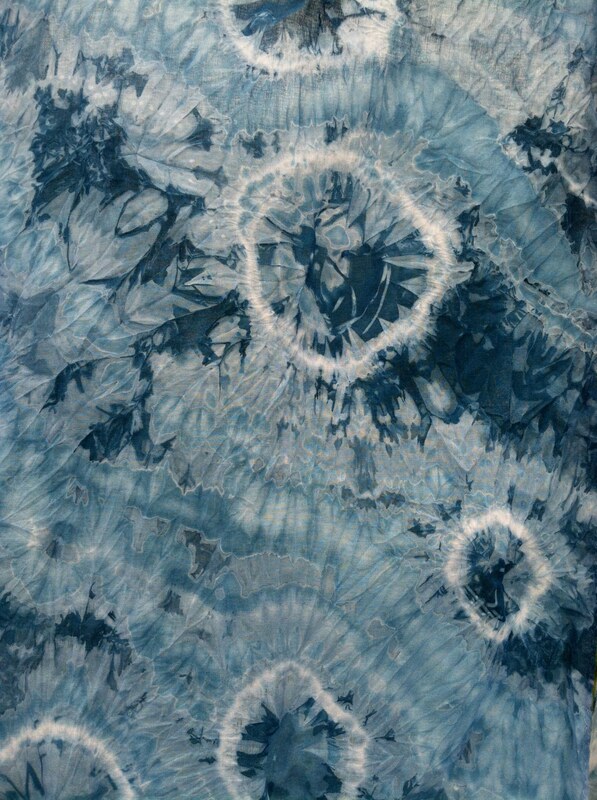 And where the elaborate set of techniques known as shibori brought resist-dyeing to new heights. While authentic shibori is far beyond the scope of this workshop, it is the source of the easy techniques we’ll be practicing. Two summers ago, we were enjoying our annual Craft-A-Way nature walk, when camper Betty Floored gave us some exciting news. Her organization, Handmade Toledo, was moving into a brick-and-mortar space! Not only would they be selling crafts there, but also offering classes and hosting events. We’re pleased to have watched Handmade Toledo’s Maker Shoppe become a reality. And we’re proud that our indigo workshop will be among the first round of classes offered in this inspiring space. It’s no surprise that we keep returning to the indigo vat. Just as it’s no surprise that we keep gathering to craft with friends. After all, people have been working with indigo for thousands of years. And for even longer, they’ve been sharing the joy of making by hand. It feels so right when we come back to these ways, like singers to the chorus of an old folk song. If you crave that feeling like we do, you’ll want to be sure and join us for our next afternoon of crafting and community. For more info, and to register for the class, please visit Handmade Toledo’s site.